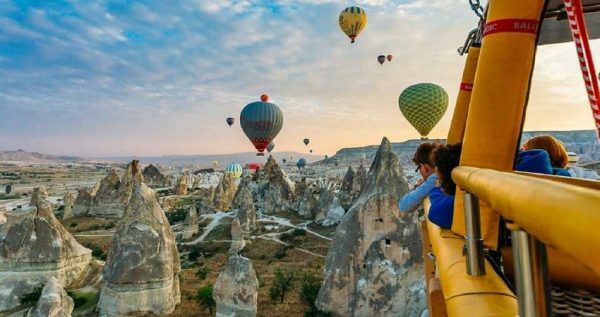 Spend 2 days touring around Cappadocia and get charmed by the beautiful images that this tour offers. 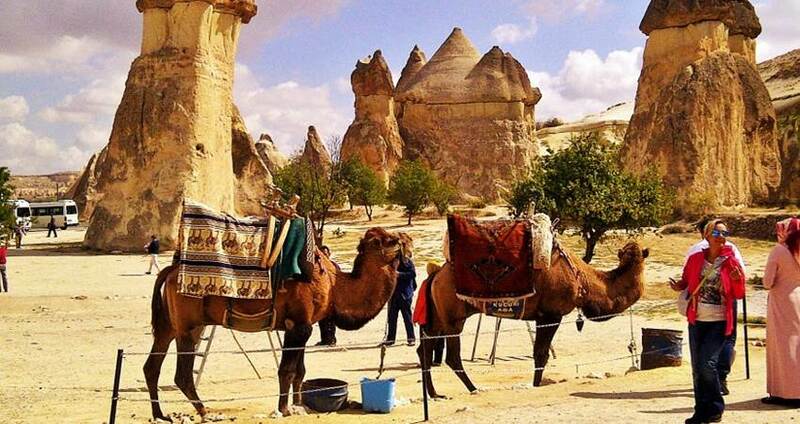 Side Cappadocia Tour is suitable for those who seek a 2 full-day exploration. 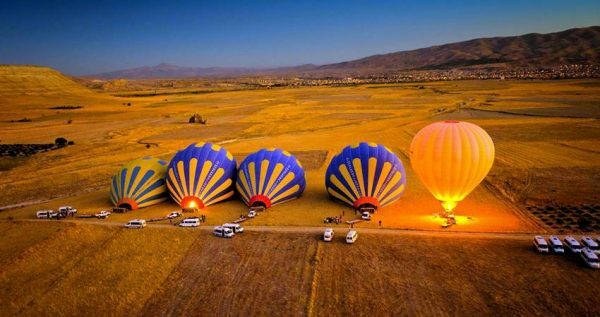 Amazing natural wonders, Turkish gastronomy, history, culture and a balloon tour are some of the things that you can experience with this excursion. Get ready for an exciting and fascinating tour! Side Cappadocia Tour begins by the moment our driver and guide picks you up from your hotel. You will be traveling in a modern, fully air-conditioned and comfortable bus for about 2 hours. Once the bus reaches Seydisehir city, a stop will be made, where you will have the opportunity to relax and enjoy a breakfast. The excursion continues as the next stop will be Saratlı Kırkgöz Underground City. 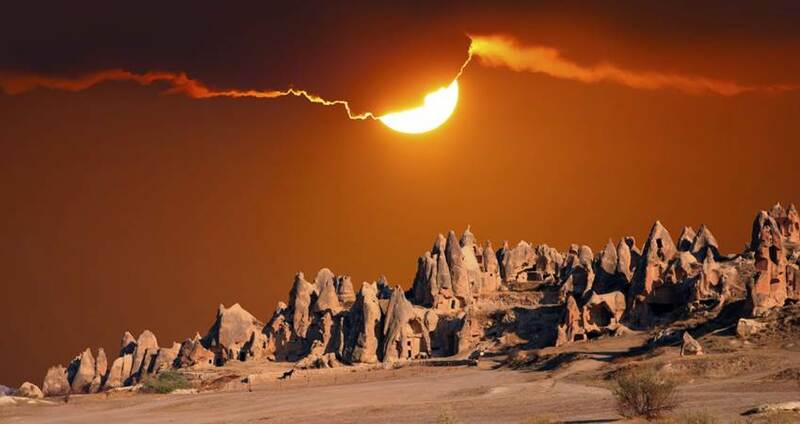 It is located in the region of Cappadocia, near Aksaray. Saratlı Kırkgöz Underground City traces its origins back in the early Byzantine period. There, you will have the chance to see an amazing ancient underground city that has tunnels, warehouses, water wells, kitchens and stables. Explore the history of the region in this stop and learn important information that the guide will offer about this underground city. The excursion continues in the region of Cappadocia for a lunch break at Avanos province. Lunch will take place at a local restaurant where you will have the opportunity to unlimitedly enjoy a variety of buffet options. Energized and relaxed, you will then have two breaks at the Valley of Imagination and at the Valley of the Monks. 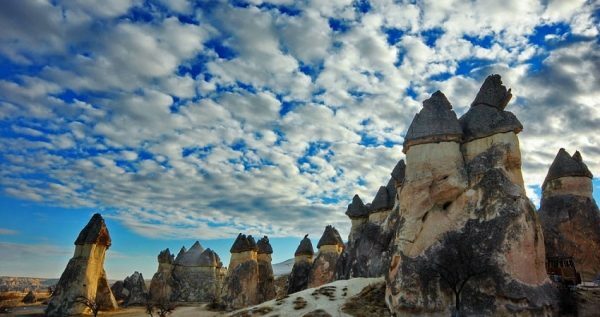 Both valleys form an extraordinary landscape of unique beauty since they are full of soft volcanic rocks that are shaped like towers or cones. Take the opportunity to admire the beauty of the valleys and snap some amazing photos. Side Cappadocia Tour continues with a stop at a village called Cavusin, where the Church of St.John the Baptist is located. The particular village is a must see tourist attraction, since there are settlements that are engraved within rocks. The village’s settlements trace their origins back in the 1st century BC. Again, your guide will be the person in charge to provide a detailed description about this particular style of architecture as well as the history of the place. In regards to the Church of St.John the Baptist, it forms one of the first and greatest Christian Churches of the region. You will have the opportunity to learn some important information about the Church’s long history. 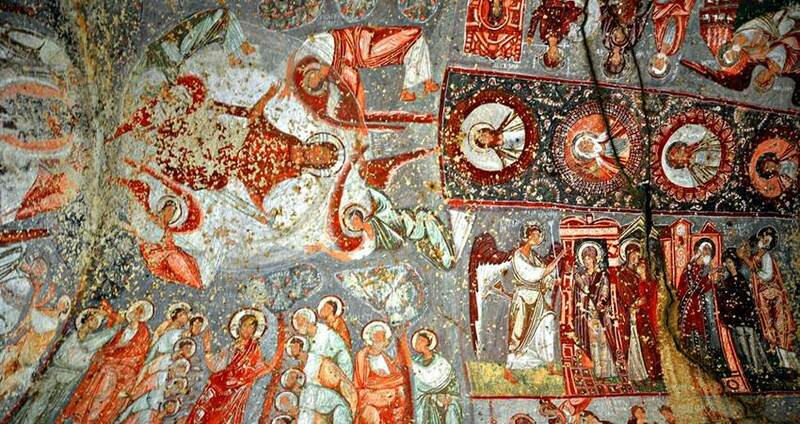 The Valley of Love and Göreme Village will be the next stops of this 2-day excursion. There, you will have the chance to take some photos and enjoy the natural beauty of Turkish countryside. During the afternoon, you will reach your hotel in Ürgüp. With a sweet tiredness but full of new images, you can set up and relax in your room until dinner time. The dinner at the hotel’s restaurant is an open buffet with a vast variety of options. After the dinner you can spend your time as you wish. For those who seek to explore the city of Ürgüp and its lifestyle there are a lot of spots where you can enjoy traditional Turkish dances, belly dances and music shows. For those who seek to relax after a long day of sightseeing, the hotel rooms are spacious, clean and comfortable. Participants of the Side Cappadocia Tour who wish to experience a balloon tour, at an extra cost, will have an early wakeup call at around 4:30 in the morning. A bus with your guide will transfer you to the depart station of the balloons, where this fascinating adventure starts. The whole balloon tour has an approximate duration of two hours, as then you will head the hotel for breakfast. An open breakfast buffet with drinks will be served for one hour at the hotel’s restaurant. Full of energy and enthusiasm for exploration, the second day of your tour begins! 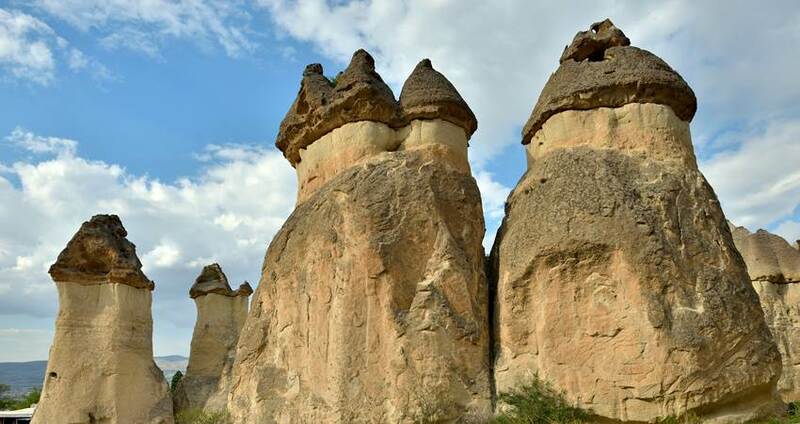 Two short stops will be made for photos at one of the well-known landmarks of Cappadocia, namely the Three Graces and at the Pigeon Valley. Your exploration continues at the Göreme Open Air Museum. It is a settlement made by rocks with a long history. 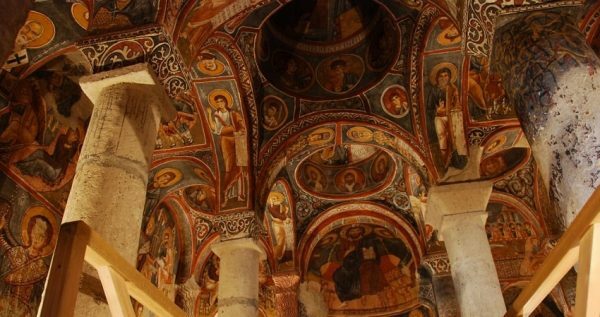 In fact, it traces its origins back in the early Christianity period and was hosting monastic life for a long period of time. The settlement includes churches, dining areas, warehouses and rooms that are carved into rocks. For sure this spot will impress you with its charm and architecture. Another stop will be at the Üçhisar Castle. The Castle that was a defensive fortress has two huge chimneys the one next to the other. Take a chance to walk inside the castle and take some amazing photos of this charming and historical place. Once you are at the top, you can enjoy breath taking panoramic views of Cappadocia. Make sure that you will keep them in mind, because this is your last stop in Cappadocia. Lunch will be served in Konya, after a short break at Öresin Han that was used as a Caravanserai by the traders during Seljuk period. During lunch you will have the opportunity to taste some of the regions traditional dishes. Among them, it is the infamous Konya’s meat bread. Your excursion includes two stops at a pottery workshop and at a processing centre of Anatolian stones. There, you will have the chance to view some amazing handcrafted products. You can purchase amazing souvenirs to take back home in order to remember your excursion for ever. You will then continue on your way back full of memories from this 2-day tour. By the afternoon, the bus will drop you off at your hotel. Extra Clothes, Hat, Sun Cream, Sunglasses, Camera. Infants are sitting on the laps of their parents in the bus. If you'd like to get a seat for your infant, please book child instead of infant. If you like to experince Cappadocia Balloon Tour please check teh link for details. Experience the region of Cappadocia by participating in this 2 full-day excursion. 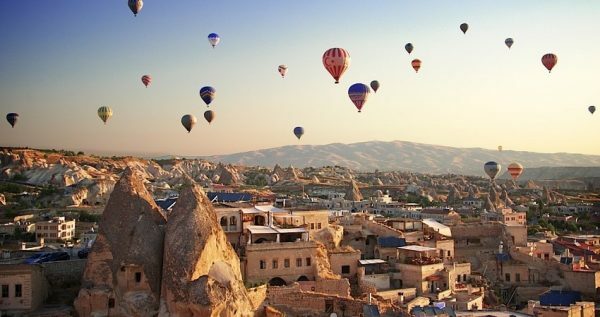 Visit historical places, admire the traditional architecture, learn about the customs and traditions of Turkey, watch the sun rise from a hot air balloon and relax in a special class hotel. 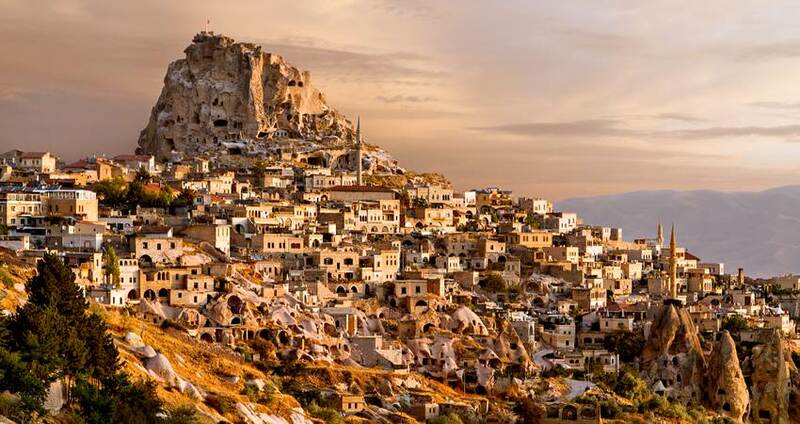 Your memories and experiences from Cappadocia will definitely last for a long period of time. Pick up from your hotel will take place during the morning and start your excursion. After two hours of driving, there will be a break at the city of Seydisehir, where breakfast will be served. During your 2-day Side Cappadocia Tour, you will be travelling in a modern, comfortable and fully air-conditioned bus. The bus is following all the safety regulations to ensure that you will be having a safe and enjoyable journey. You will be accompanied with an experiences and professional guide. He/she is the person in change to provide detailed information regarding the sights and monuments during your tour. 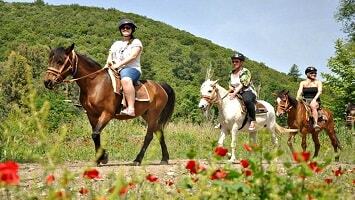 In addition, the guide will offer some information regarding Turkish culture and countryside lifestyle. Spoken languages are Turkish, Russian, English and German. A stop will be made at the famous Saratlı Kırkgöz Underground City. This tourist attraction is located in Cappadocia’s region, close to the Aksaray province. 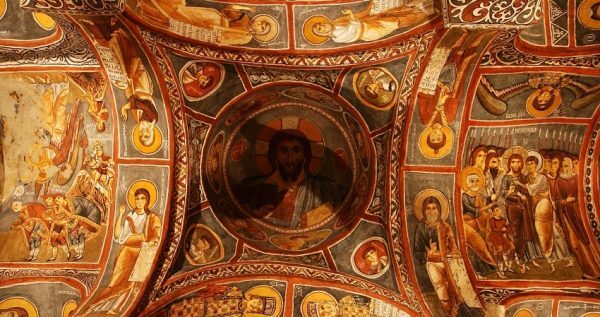 The place has a long history, since it dates back in the early Byzantine period. The guide will explain to you the history of this Underground City as you will be touring around tuners, warehouses, stables, kitchen areas and water wells. Heading the Avanos province, you will have the chance to enjoy a lunch at an extra cost. Lunch will be served at a local restaurant and will include an unlimited buffet. Full from a tasty lunch, you will continue your excursion with the bus. There will be two beaks on the road. One break will be at the Valley of Imagination and another one at the Valley of the Monks. Both Valleys are of impeccable beauty! You will be able to see soft volcanic rocks shaping cones or towers. For sure these picturesque Valleys will impress you. This amazing exploration of Cappadocia region continues with a stop at a village called Cavusin. There, the Church of St. John the Baptist is located, among others. The village forms a tourist attraction because of the settlements that are engraved within rocks. These settlements were built during the 1st century BC. Once again, your guide will be the person in charge to provide a detailed description about this particular style of architecture as well as the history of the place. You will also have a chance to visit the Church of St. John the Baptist. This Church has a long history as it forms one of the first and greatest Christian Churches of the region. 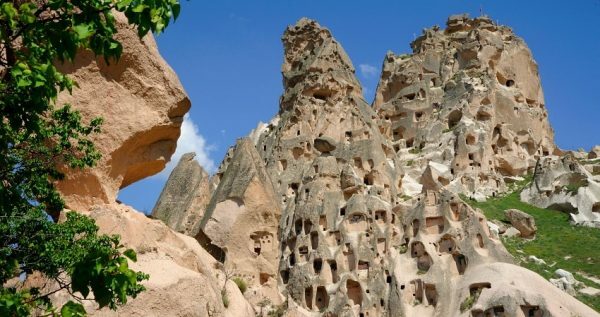 The Valley of Love and Göreme Village will be your next stops. There, you will have the chance to take some breath taking panoramic photos and enjoy the stunning natural beauty of Turkish countryside. During the afternoon, you will reach your hotel in Ürgüp. This hotel is of special class and is certificated by the Turkish Ministry of Tourism. It has a special character due to its unique architectural design. In fact, this hotel was built with the use of natural stones that the region has. Once check in is done and you are all set at you rooms, a dinner will be served at 19:00. The dinner will take place at the hotel’s restaurant and includes an unlimited buffet with a vast variety of options. After the dinner you are free to spend your time as you wish. 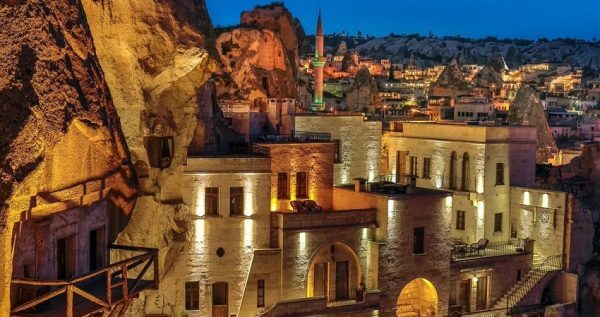 If you are still searching for some adventures and exploration around the city, your guide can accompanied you at a traditional Turkish night, at an extra cost. A typical Turkish night has traditional dances, belly dances as well as traditional music. Enjoy a night full of fun and enjoyment. If you wish to take part in an unforgettable experience, you can enjoy a hot air balloon tour in Cappadocia, at an extra cost. If you want to participate then you will wake up early in the morning. Your guide will accompany you to the Balloon starting point. The hot air balloon tour satisfies all safety requirements of the Civil Aviation Directorate. Your balloon tour lasts approximately 1 hour with breath taking views over the sun rise. A certificate of attendance will be given to you in order to remember this stunning experience for ever. The second day of the Side Cappadocia Tour starts with a breakfast at the hotel. A buffet breakfast with drinks will be served for one hour. Check out from the hotel follows with lots of enthusiasm for what it follows during the day. During your excursion you will be stopping at a pottery workshop. There, you will have the chance to view some amazing handcrafted products as the owner will demonstrate and explain the procedure step by step. You can purchase amazing souvenirs to take back home in order to remember your excursion for ever. 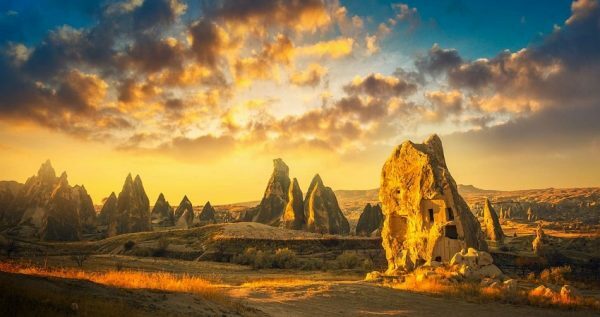 Two short stops will be made for photos at one of the well-known landmarks of Cappadocia, namely the Three Graces and at the Pigeon Valley. The location is ideal for panoramic pictures. Your next stop will be at a processing centre of Anatolian stones. There, you will receive interesting information about these famous stones and their processing. In addition, you can purchase your own handcrafted souvenirs. Your excursion continues with a visit at the Göreme Open Air Museum. This beautiful location hosts a settlement which is made by rocks. In fact, it dates back in the early Christianity period when was hosting monastic life for a long period of time. The settlement includes churches, dining areas, warehouses and rooms that are carved into rocks. Another stop will also be made at the Üçhisar Castle. It was a defensive fortress that has two huge chimneys the one next to the other. Once you are at the top, you can enjoy breath taking panoramic views of Cappadocia and snap some stunning photos. Lunch will be served at a local restaurant in Konya, at an extra cost. During lunch you will have the opportunity to taste some of the regions traditional dishes. Among them, it is the infamous Konya’s meat bread. Your 2 full-day Side Cappadocia Tour ends during the afternoon when bus heads your hotel.